Many people will inevitably wonder how to use FaceTime without WiFi after discovering how useful of a feature it can be. FaceTime is a video calling feature that is available on many iPhone devices. It requires a strong Internet connection, and usually performs best when you are connected to a Wi-Fi network. In fact, early iPhone models and iOS versions were unable to use FaceTime at all unless they were connected to a Wi-Fi network. But FaceTime is no longer restricted in this sense, and it is possible for you to use FaceTime over a cellular connection on an iPhone. 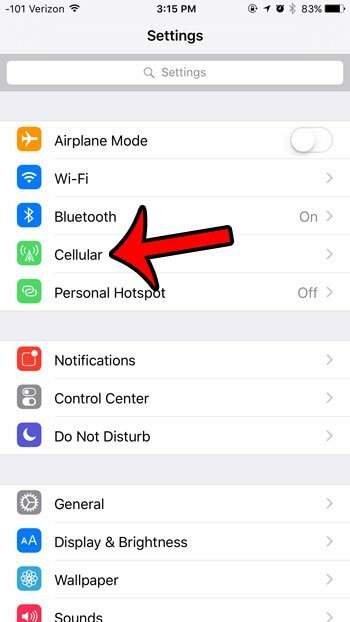 Our guide below will show you the setting that you need to adjust so that you can start using FaceTime on a cellular network. Note that using FaceTime over a cellular connection can use a lot of your cellular data and, depending on the speed of the cellular network to which you are connected, the performance could be choppy or unusable. FaceTime is only available on a cellular connection with the iPhone 4S or later, and the 3rd Generation iPad or later. Aside from consuming a lot of cellular data, using FaceTime without WiFi can also drain your battery rather quickly. Step 2: Select the Cellular option near the top of the screen. Step 3: Scroll down and tap the button to the right of FaceTime to turn it on. 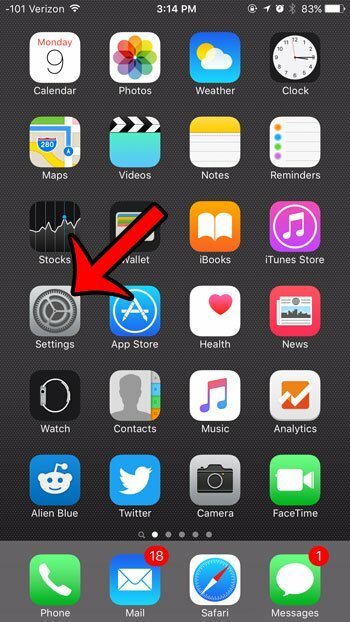 You will be able to use FaceTime without Wi-Fi when the button to the right of FaceTime is green, and in the right position. FaceTime over cellular is enabled in the picture below. So, as the article above has indicated, if you are asking yourself if you can use FaceTime without WiFi on your iPhone, then the answer is yes. FaceTime can always be used if you are on a WiFi network, and you can permit the app to be used on cellular as well. 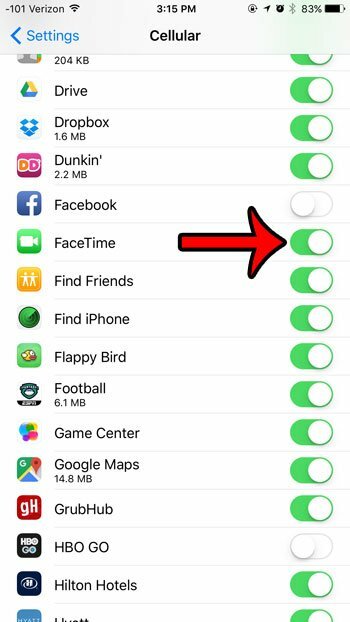 Tap the button to the right of FaceTime to enable cellular data usage for the app. Have you used too much of your cellular data for the month, and are now worried about overage charges? One way to ensure that you stop using cellular data is to turn it off completely. This can be the best option if you are very close to going over for the month, as it will prevent your iPhone from using cellular data to download emails, browse the Web, or perform any other action that will increase your monthly cellular data usage.